2. Wash the crock and find a top for it (any plastic lid that fits lightly on top will work fine). 3. Dilute 2 Tablespoons of commercial yeast in 2 cups of warm water. Put 2 cups of brown rice flour into your crock and pour in your warm water mix. Add 2 Tablespoons of sugar (white, brown, honey, molasses) and mix well. Let your covered crock sit in a warm place for 24 hours. You can start using it the next day, if you'd like, or you can repeat the feeding process by adding some more sugar and letting it sit another day or so before using it. Usually, we start using ours the next day and watch in amazement as our sourdough's (flapjacks) get better and better each day after, as we use and replenish our starter. Now, take one 13 oz package of Arnel’s Originals Bread Mix. Mix till smooth and stretchy. Add 8.7oz sour dough starter. Mix again. 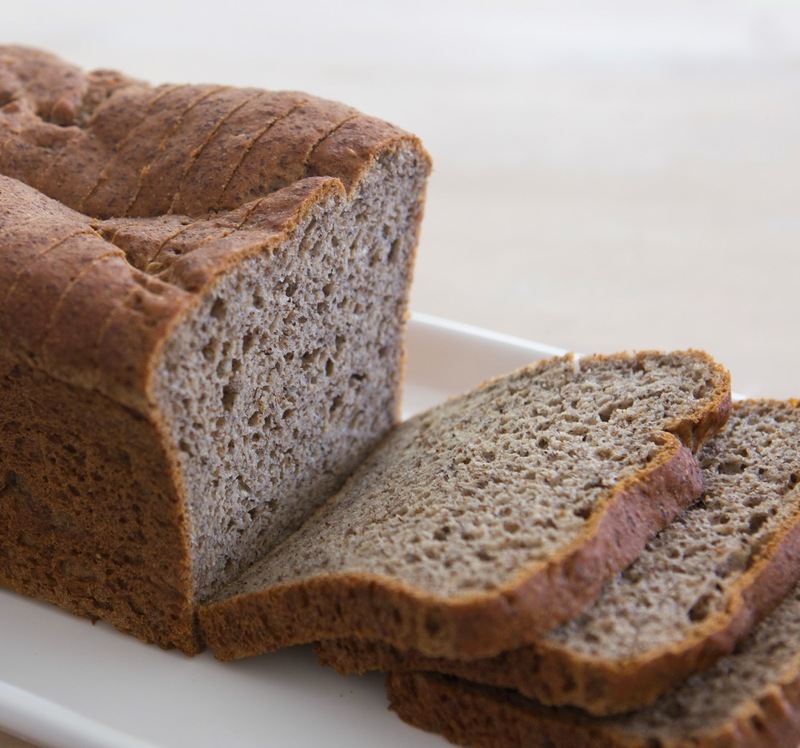 Bake on 350* oven for 35 minutes and viola ENJOY your Whole Grain, Organic, Gluten Free, Sour Dough Bread. Beat eggs and lemon juice and zest for 2 minutes until light and fluffy. Add dry ingredients, beat for another minutes, and pour mixture over the hot crust. Bake 25 minutes longer in a 350º oven. STEP 1: Go through your cupboards, refrigerator, freezer, and pantry, and bag up all of the foods that contain these ingredients. If you have been eating a traditional American diet, you should have about 80% of your food in bags. Put them somewhere out of eye sight (perhaps the garage,) and head to the store to stock up your next two weeks of acceptable foods. STEP 2: Go food shopping. Here are lists of acceptable foods by category. BE CREATIVE and take your positive attitude to the store with you. Basically, you will be eating simple foods with a few ingredients in a non-processed form. STEP 3: Start the diet. One very important thing to keep in mind is that food which you are sensitive to, can act like a drug. There might be withdrawal symptoms. On day three, my six year old daughter had a screaming tantrum for almost an hour in front of the refrigerator begging, I mean desperately begging for a piece of bread. I almost gave in but something told me to stand firm. Boy am I glad I did because from this diet we found out how intolerant she was to gluten products. It was my homemade organic whole wheat bread sweetened with honey that caused her to have the most violent reactions. STEP 4: Add one category of food at a time back into your diet every other day. It a small amount in the morning, and if you do not have any violent reactions, eat lots of that food for lunch and dinner. Make sure the food consists of one or two ingredients. For instance, on the day you eat dairy, don’t eat ice cream which also has sugar and eggs. Drink milk and/or eat cottage cheese instead. Keep a journal of how you sleep, how you feel emotionally, and what your body does physically (rashes, irritability, tension, gas, sneezing, itchy nose, palette, or skin, joint aches, respiratory congestion, stomach cramps, nausea, etc.) If there are no negative reactions, you now can add that food back into your diet. If you are not sure if you reacted, keep the food out and test it again later. If you have a reaction, stay away from that food. Often times, you can handle certain foods in moderation but not in excess. In that case, you could probably rotate a small amount of that questionable food in your diet every 4 days or just eat a small amount once in a while when you are eating out and do ok. That’s what I do with dairy products. Well, my friends. Good luck with the diet and stay healthy!